Call us for a home addition builder in Essex MA today. When you are in need of a reliable contractor to design and build your addition, think O’Neil Fine Builders. Specializing in everything remodeling-related, our home improvement company gets the job done right, just the way you want it. Give us a call at 978-927-7711 or email us today to get in touch. Whatever you have in mind for your home, O’Neil Fine Builders would like to assist every step of the way. Your 100% satisfaction is our priority. Get in touch with our expert home addition builders in Essex MA today. When you are ready to design and build that extra space you’ve been wanting, call O’Neil. Our builders are professional craftsman that know how to get the job done right. 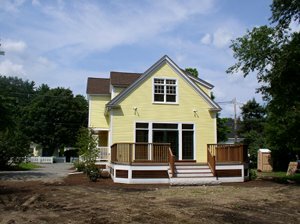 Please call us at 978-927-7711 or use our contact form to the right to set up an appointment with a home addition builder in Essex MA today.